The Alcazar of Segovia is one of the most beautiful monuments of Segovia that will transport you to a fantasy realm. Visit it and discover the secrets inside. Located at the confluence of the Eresma and Clamores rivers, the first written reference to its existence is Christian and dates from the beginning of the 12th century. It was built on a rock, which indicates its original military use. 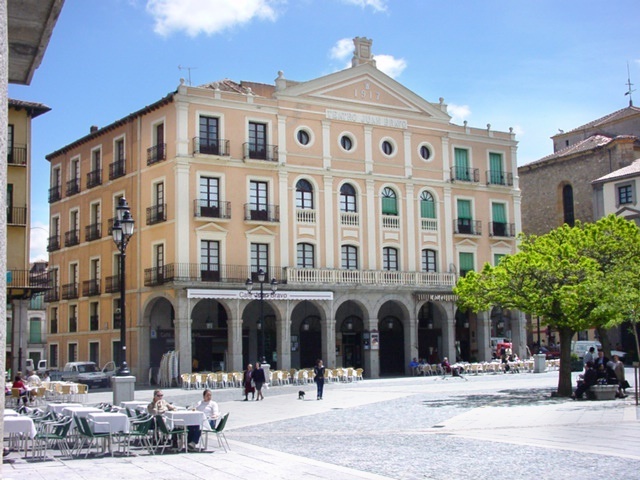 It served as residence for Alfonso VIII and here Queen of Castile was proclaimed Isabel the Catholic. In 1764, Carlos II establishes here the Royal Artillery College. In the 13th century the building acquired a Gothic aspect with the intervention of the architects of Juan II and Enrique IV. The last architectural phase suffers in the year 1587, from the hand of the architect Francisco de Morar, possibly in collaboration with Juan de Herrera, who makes the Main Court and the School of Honor.